As fans of fluffy animals great and small, we've been moved to tears by the story of an abandoned dog who was left for dead. 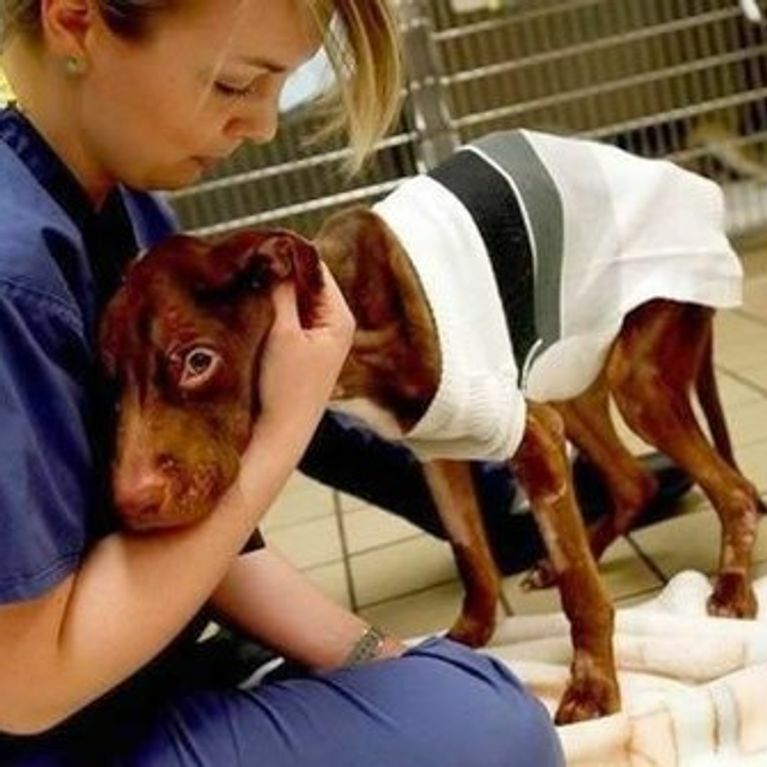 Abused, starved and in terrible condition, it's shocking that anyone could let him get this way. He was violently shivering and utterly emaciated, and was so cold that his body temperature couldn't even be measured. Apparently poor Patrick had been given no food or attention for weeks, and he wasn't expected to last 24 hours after being brought in. However, it goes to show that no one should underestimate a little love and care, as thanks to immediate medical attention the puppy was soon on the mend, and began to stand and eat, but his full recovery still had a long way to go. It has now been several years since good old Patrick, named so as he was found a day before St Patricks Day, was found. He has reportedly now grown into a strong, inquisitive and incredibly warm dog with new owners, but is still afraid of new people. Look how happy he is! The story of Patrick has reached people all around the world, due to the shock that anyone could harm a living thing so much, but also in awe at his incredible transformation due to the amazing people who took him in. Excuse us while we grab a tissue!